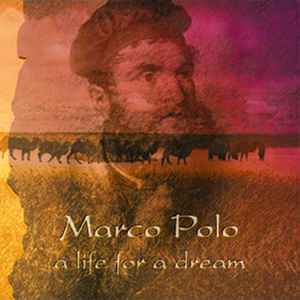 Marco Polo (Venezia 1254-1324), a life for a Dream. In November of 1271, Marco Polo left Venice with his father and uncle on a trading mission to China, which at the time was part of the Mongol Empire. It was the start of a long and extraordinary journey that took nearly thirty months, ultimately ending in Cambaluc (Pekin), where the adventurers met the Great Mongol ruler Kubilaï Khan. It was an encounter between two very different worlds, two very different cultures, and two very different men. Yet it was also the beginning of a friendship that extended far beyond such differences. Marco Polo stayed as a guest with Kubilaï Khan for 17 years, and in 1299 related his adventures in his famous book "The Wonders of the World" (also known as "Il Millione"). Full of comments about geography, history, and the myriad customs of countries he had visited, "The Wonders of the World" remained a valuable reference for centuries.